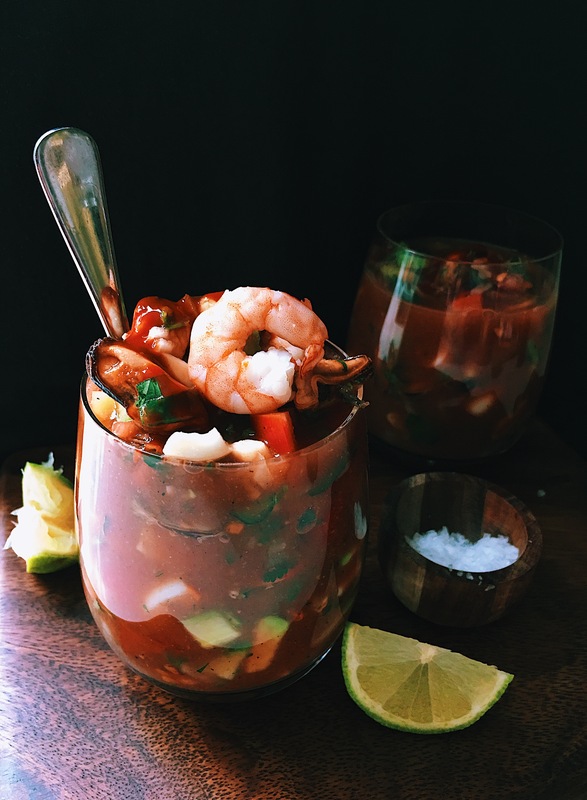 This week I am posting recipes that reminds me to my lovely hometown Ensenada! And today’s recipe kind of sums up what Ensenada is, a fresh, colourful, full of flavour seafood cocktail and that is how Ensenada is, the people is friendly, the weather is lovely and the food is just amazing! Dissolve the fish stock cube in 2 cups of boiling water. Add the onion, a bit of salt and boil for 10 min. Once the stock is boiling add the seafood. Cook for 5 min and take everything out to cool down. 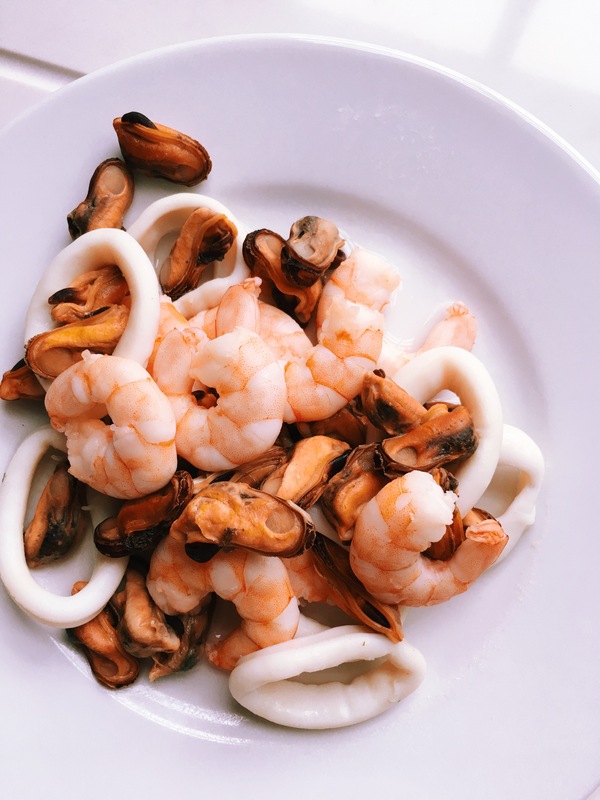 Once cool down, cut the seafood in little pieces. Add them to the veggies. 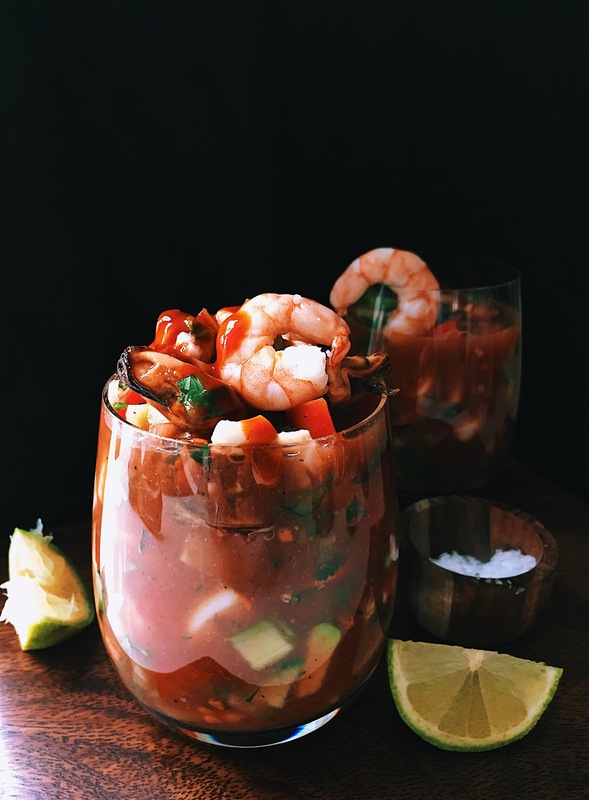 In a bowl mix the Worcester sauce, ketchup, tomato juice or clamato, juice of two limes, black pepper and salt. Add the salsa to the veggies and seafood and mix very well. Taste it to check if it is well seasoned and then cover it with cling film and put it in the fridge for an hour.